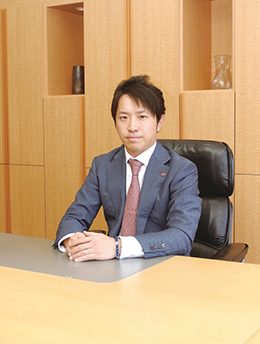 "From Sakai to the World"
Maruesu is pursuing further growth. 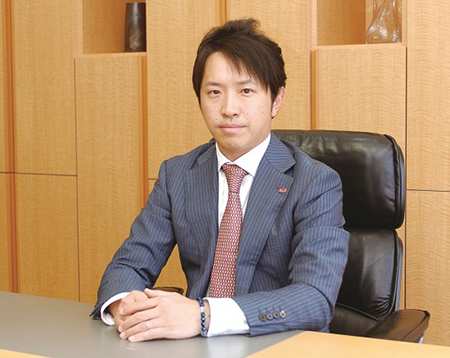 Under our slogan, "From Sakai to the World," we are accelerating our overseas expansion. 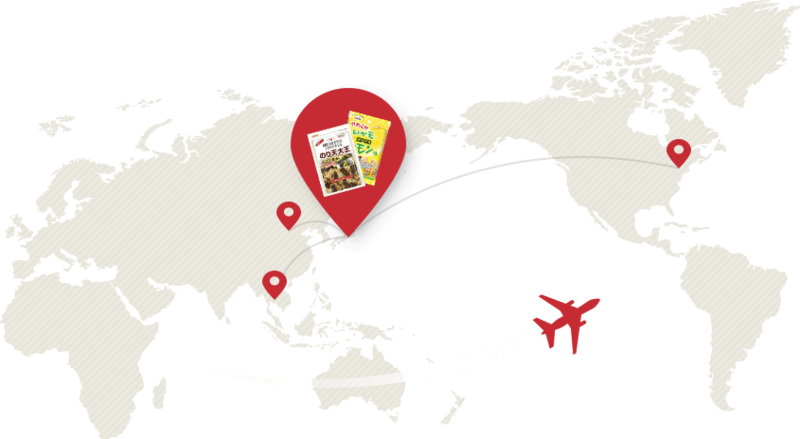 To gain a foothold abroad, we launched our first overseas sales office in February 2015 and partnered with the CP Group, which works in the local Thai food industry, in June 2016. The CP Group is Thailand's largest conglomerate and operates around 10,000 convenience stores throughout the country. Currently, six of our products produced in Japan are available in the 2,000 CP Group locations in the Bangkok area. In the future, we plan to develop a local production system in Thailand to provide products that are better suited in terms of price to the Thailand market and consumer needs. We currently have a factory under construction in a fishing village in eastern Thailand, which we plan to complete in May 2017. After the plant goes into operation, we will begin by dispatching workers and managers from Japan to train Thai employees and start operations, with the goal of localizing labor in the future. 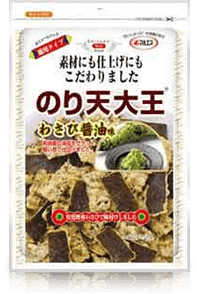 We emphasize the quality of our ingredients, and only use the highest quality squid and seaweed. In addition, our flour-blending technology and squid pressing techniques are unique to our company and cannot be imitated by others. With a thoroughgoing commitment to our fried products in particular, ranging from the flour used to the oil we fry in, and even the air inside the factory, we aim to create perfect products based on fellow-feeling for our consumers. Our products are carefully checked at multiple stages, and only those that pass the checks are sent out to consumers. We also ensure the safety of our products and have incorporated a tracking system unique to our company. This system is capable of instantaneously collecting information on our production process, from manufacturing to shipment, so that we can respond and perform analysis rapidly in the unlikely event that a problem occurs. 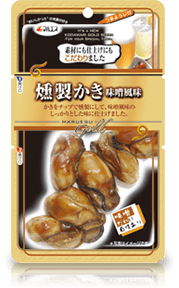 Maruesu was founded in 1947 as a family-run manufacturer and seller of tsukudani (preservable food boiled down in soy sauce). 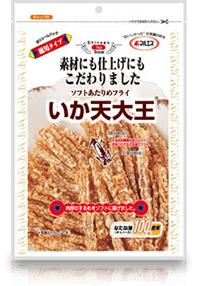 We have now expanded and sell "otsumami" snacks throughout Japan, which are made by processing squid and seaweed with our proprietary technology. We export our Made in Japan, high-quality products to Taiwan, Hong Kong, the United States, and beyond. We opened an overseas sales office in 2015 to expand our sales channels throughout the world, and are currently working on constructing a new factory there as well. 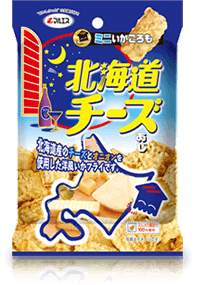 Manufacturing and sales of squid snacks, dried-fish snacks, seaweed snacks and other types of snacks. Our mission is to utilize the rich characteristics and environment of Japan, surrounded entirely by ocean, and use its abundant marine and agricultural products to contribute to the world by providing safe, secure, and delicious products. We aim to be a global company that beings bounty and happiness to society, our employees, and our families alike. At Maruesu, it is our goal and our greatest joy to see smiles from eating our great-tasting products on as many faces as possible. In the future, we will continue to focus on fundamental food safety and real tastiness, always seeking flavors that meet the needs of our customers. Our factories incorporate a unique production management system that enables us to operate all our production lines smoothly and efficiently, from manufacturing to shipping. Automated fryers form the core of our frying process, and incorporate numerous concepts for creating a consistent product. 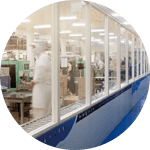 Production takes place at our Sakai headquarters factory, as well as at our second factory in Izumi Techno Stage, completed in 2007. Our headquarters, the second factory, the Tokyo office, and subcontractors are connected via a Virtual Private Network (VPN) to ensure safety through information sharing between production and sales. We are always happy to receive customer inquiries and feedback on our products, samples, and more.